Information about horse: Wish is an in your pocket kind of horse. She enjoys being loved on and is out in the pasture with mares and geldings. She is higher ranked in the pecking order but is not mean or ugly about it. She is currently riding barefoot. Her first ride under saddle can be see below. This mare was part of a rescue/ surrender situation earlier this year and Roanoke Valley Horse Rescue was instrumental in her return to good health. We have partnered with RVHR to try and find Wish the perfect home. This first video is compiled of several video clips of Wish. 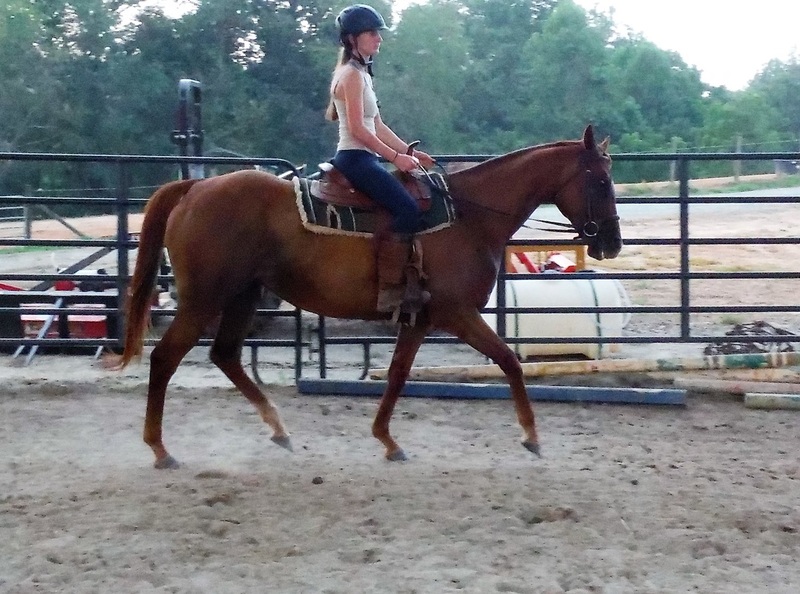 The most recent video of the rides in the large arena were taken on 10/22/16 with Wish being ridden in an english saddle and being introduced to ground poles for the first time.